Chelsea go to Stoke City on Saturday looking to avoid a seventh defeat in their opening 12 top-flight games for the first time since 1978. Stoke welcome back Geoff Cameron from a thigh strain which has seen him miss the last two games, but the American may have to make do for a place on the bench following the return to action of Ryan Shawcross. Phil Bardsley is also available again for the Potters after serving a one-match suspension, but Marco van Ginkel is ineligible against his parent club, leaving Cameron as likely midfield cover. 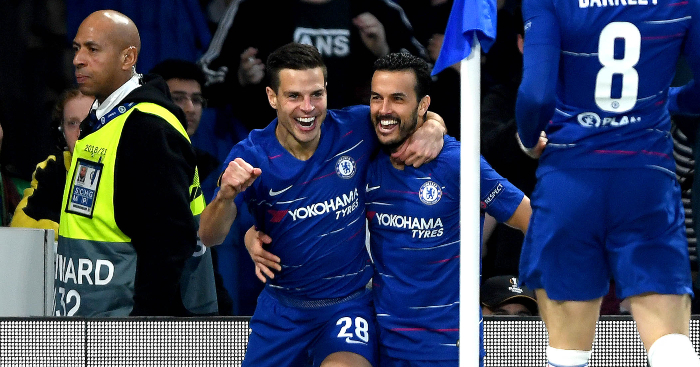 Chelsea, meanwhile, welcomed back Pedro in the midweek victory over Dynamo Kiev and have also seen Branislav Ivanovic return to training following a hamstring injury, but the Blues will have to prepare for the game without manager Jose Mourinho, who serves a one-game stadium ban. Kick-off at the Britannia Stadium is at 5.30pm. 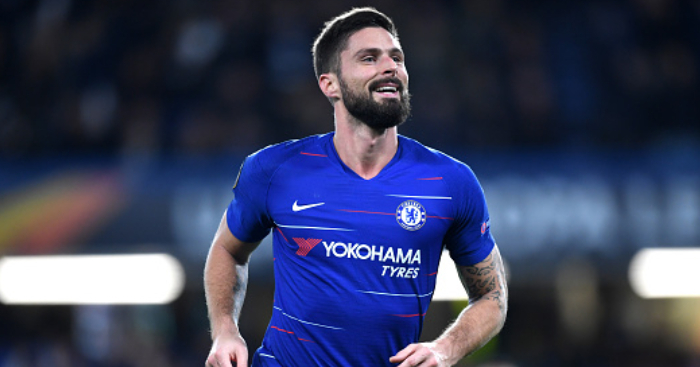 Prior to their recent League Cup elimination via penalties to Stoke at the Britannia Stadium, Chelsea had won 14 and lost just one of the previous 17 meetings in all competitions with Stoke. Loic Remy has scored three goals in three Premier League appearances against Stoke City. 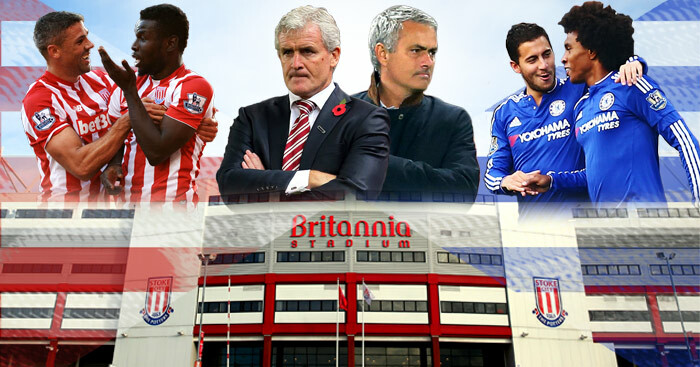 Mark Hughes’ side have won just one of their last five Premier League games at the Britannia Stadium (W1 D1 L3). 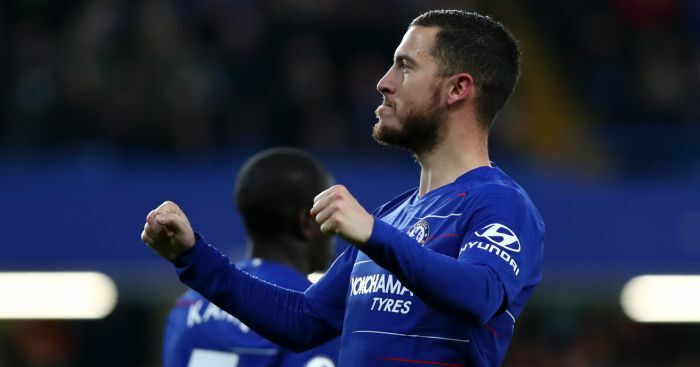 Chelsea have won just two of their last 10 away matches in all competitions (W2 D3 L5) – and one of the draws ended in the shoot out defeat by Stoke. Jose Mourinho has lost six league games already in 2015-16 – he’s never lost seven games in a single league season as a manager. Of all reigning Premier League champions, this is the worst title defence after 11 games of a season (11 points); the previous worst tally was set by Blackburn Rovers (14 points in 1995-96). 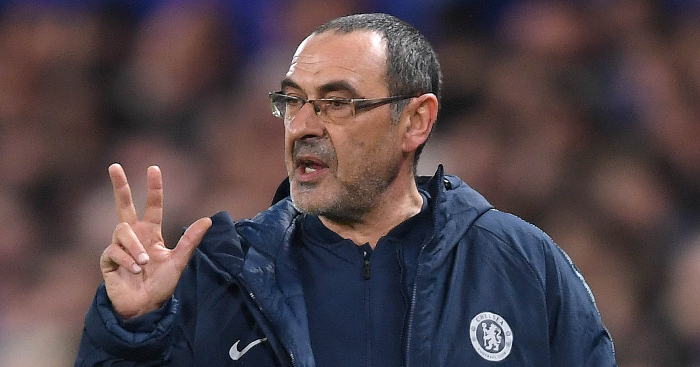 Chelsea have already conceded more goals this season (22) than they managed in the whole of 2004-05 (15) and the same number as in the whole of 2005-06 (22). If Chelsea lose this game, it’ll be the first time that they’ve lost seven of their opening 12 games in a top-flight season since 1978-79, a season that they were relegated. Only Sunderland (69) have allowed more shots on target against them than Chelsea (63) in the Premier League this season. Jack Butland has made more saves than any other goalkeeper in the Premier League this season (46).